Free & Clear Shampoo for Sensitive Skin by Pharmaceutical Specialties is as gentle as a shampoo can be. It has no fragrances which make it perfect for sensitive skin. 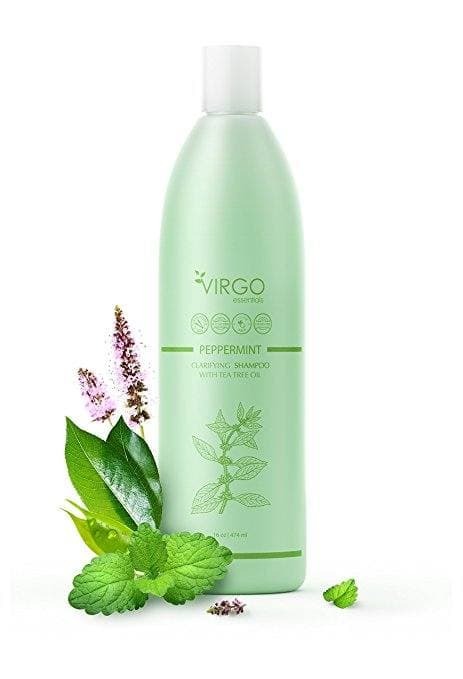 Our second pick is the Peppermint Clarifying Shampoo w/ Tea Tree Oil by Virgo Essentials. Aside from being affordable, this shampoo contains Tea Tree Oil which is known to be effective in treating Eczema. 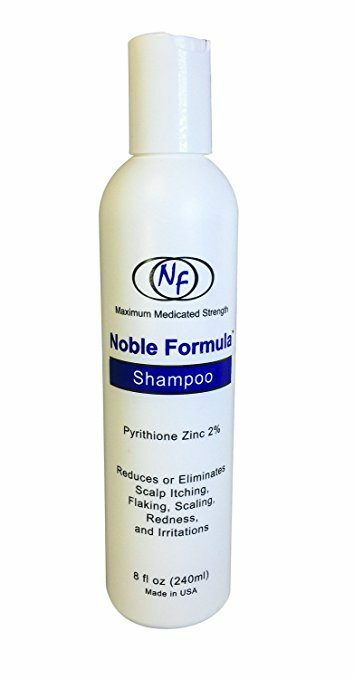 Noble Formula’s Zinc Shampoo - 2% Pyrithione Zinc (ZnP) comes third on our list. We like it for having Zinc Pyrithione, but also dislike it for the same reason as the said ingredient may cause slight irritation. Our fourth choice is Exederm’s Baby Shampoo. We love it simply because its formulation is safe for babies—which makes it perfect for adults, too! Read on as we break down the details of what makes the best shampoo for eczema below. The first thing that’ll attract you to this product is that it is fragrance-free. Such products are important for those with sensitive skin as they don’t cause any irritation at all. Aside from gently cleaning your hair, this shampoo also promises to boost the volume of your locks. I find this claim exciting as most shampoos of this kind tend to leave hair limp and lifeless (Ugh!). It promises to work with the scalp’s natural Ph. This means that it has less chances of irritating your already troubled scalp. The shampoo also has a conditioner to go with it which is formulated for sensitive skin, too. What I love the most about this product is that it contains Tea Tree Oil. This ingredient is beneficial as it can help in moisturizing the scalp- something a dry scalp severely needs. Another key ingredient is peppermint oil. Known for its soothing properties, peppermint oil helps in relieving dry scalp and in stimulating blood circulation into the scalp. This product can be used as protection against harmful UV rays. This is a rare quality when it comes to shampoos and this came as another plus point. What you’ll like about this product is that it contains Pyrithione Zinc. The said ingredient is known for its antibacterial and antifungal properties- highly beneficial for those dealing with Eczema. It also takes pride in having the highest acceptable level of zinc. This can be used twice a week or daily for maximum control. This shampoo claims to be the most powerful one in the market. Though powerful, it’s still a non-prescription product. What’s attractive with this product is that it was awarded the Seal of Acceptance by the National Eczema Association, with the review panel giving it a score of 5 out of 5. This is a big deal since it’s a proof and assurance of how effective this shampoo is. This product contains no CAPB (Cocamidopropyl Betaine) and SLS (Sodium Lauryl Sulfate.) These are the main culprits of skin irritation, with the former known as a potential allergen. Overall, this is a good choice for people with Eczema. It contains no ingredient that could irritate the skin, and if it is perfect for babies, it would be suitable for adults, too. The ingredient that makes this product great is the addition of the Australian botanical, Cehami. Aside from reducing any signs of inflammation, it also helps in stimulating hair growth. The formula contains Manuka Honey, a medicinal honey known for its antiviral, antibacterial, and antifungal properties. It also makes use of Aloe Vera as its base which is great in soothing the skin. Despite being a scalp treatment shampoo, it’s safe enough to use on color-treated hair. However, I have to warn you that it can make your hair feel a bit greasy. One good option is to find a shampoo containing ketoconazole. Ketoconazole has antifungal properties and is used in the treatment of the eyebrows, the scalp, and other hairy areas affected by Eczema. Other ingredients proven to have anti-bacterial and anti-fungal properties are Selenium Sulfide and Pyridine Zinc. The only downside of the latter is that it can cause slight scalp irritation. Shampoos containing Salicylic Acid is also effective in healing Eczema. Those that come in 1.8-3 % concentrations work best, but just like Pyridine Zinc, can also cause skin irritation. While rash or dandruff usually clears in a span of 2-4 weeks, I’d still recommend that you use the product for a couple of days even after the symptoms have cleared. When looking for a shampoo for Eczema, it is best to go natural and/or organic so you won’t have to deal with any skin irritation. The more organic the product is, the better. Also, be on the lookout for these parabens. You can easily catch them since they mostly begin with butyl-, propyl-, ethyl-, and methyl-. These ingredients have been associated with several types of cancer including cancer of the breast. Most importantly, it is best to stay away from products containing alcohol. Since alcohol can remove the natural oils found in your scalp, you can end up with more dryness and itchiness. Babies’ skin is far more delicate than adult skin, so it is important to be more cautious in finding the shampoo that suits them best. The treatment of adult Eczema differs a lot from treating Eczema on children so it is not advisable that you use OTC products. You should also skip medicating your child on your own. Though it is advisable to talk with your physician first, a shampoo containing 1-2% ketoconazole is a good place to start when dealing with this problem. And maybe a little luck, if you believe in that idea. Free & Clear Shampoo for Sensitive Skin by Pharmaceutical Specialties won as the best shampoo for Eczema in this roundup. It gently cleans your scalp and is free from any fragrances that can cause further irritation.